in partnership with St Huberts The Stag. In partnership with St Huberts The Stag, we look for hidden holiday spots around the country to inspire your next beach, forest or bush getaway. 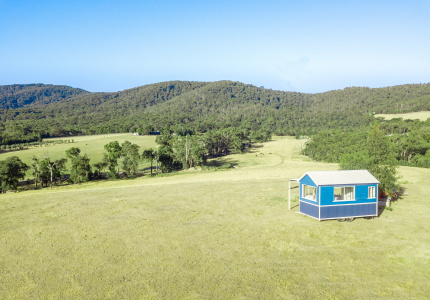 If the idea of a room of one’s own appeals, how about a whole glass canopy house, or an intimate B&B, or a 230-acreage property for some quiet time away from the city bustle? Here are six secluded places to stay that’ll make you and your travel companions feel like the only people on the planet. Just a couple of hours outside of Melbourne, the climate cools a degree or two, the wineries multiply and you’re in the Yarra Valley region. Out there, Stonehill Retreat is among lush, expansive bushland, just a few minutes’ drive from the nearby township of St Andrews. The two-bedroom house has enormous fireplaces to warm its stone rooms, bush views from every window and is entirely self-contained. Though ideal for secluded bush comfort, if you crave human activity, it’s a short drive to St Andrew’s Saturday markets for some fresh local produce, or to the nearby St Huberts Winery in Coldstream for a cellar door lunch and tasting. Ever fancied a life lived up in the treetops? If so, an abundance of rainforest treehouse accommodations across Australia are available. Perhaps the most secluded of these are the glass-enclosed bungalows at the Crystal Creek Rainforest Resort. There might not be a better way to experience northern NSW’s rainforest than via the rather spectacular glass treehouses at Crystal Creek; they’re isolated sky boxes that get you up close and personal with the surrounding flora and fauna. The bungalows are spacious and open-plan, designed to draw the outside rainforest in, while offering some privacy from the rest of the Crystal Creek resort. The bungalows are entirely self-contained and include both an intimate indoor spa bath and an outdoor balcony shower. Located inside the Deep Creek Conservation Park, the award-winning Ridgetop Retreats has excellent views of the surrounding forests. 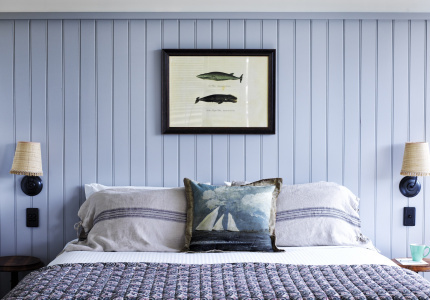 For those keen to be immersed in nature, Ridgetop Retreats was designed by renowned architect Max Pritchard to provide an eco-friendly environment. 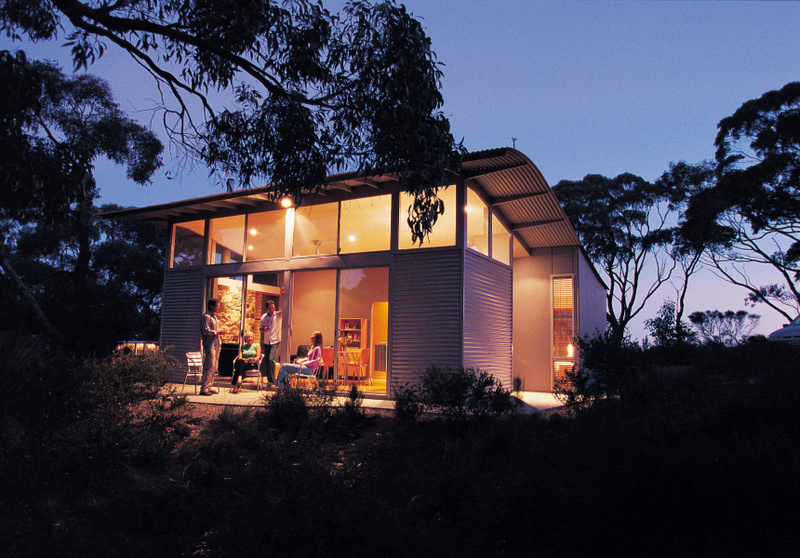 From the self-contained elevated cabins, take in the Stringybark Forest that surrounds you from your cabin's floor-to-ceiling panorama windows, or delve into the forest on foot via the Heysen Trail, the Forest Circuit Walk or the Spring Wildflower Walk – all a short wander from your front door. 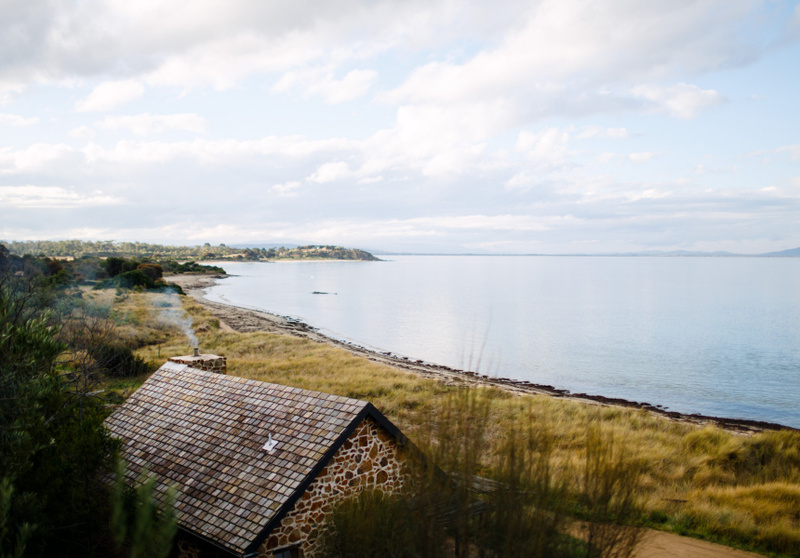 On the edge of Great Oyster Bay in Freycinet National Park you’ll find Peirmont Retreat, a fully immersive and sustainable experience hidden away in one of Tasmania’s most popular holiday destinations. 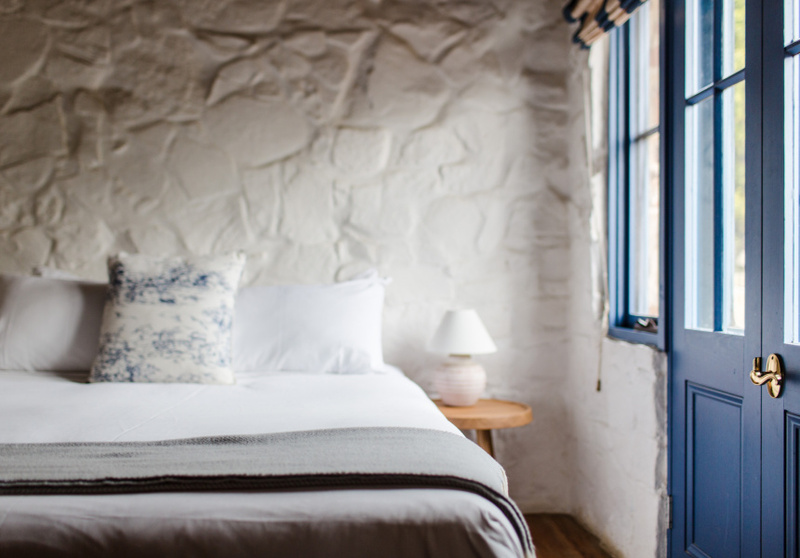 Devised 25 years ago by a German forester, Peirmont is now a family-run homestead, pantry and resort-style retreat for vacationers who seek out the Tasmanian wilderness. You can choose to stay in the more isolated self-contained cottages, or in Peirmont’s serviced spa suites up on the hill, but both have access to the retreat’s swimming pools and its two private beaches. While at Peirmont, if you can muster the energy, you can hike around to the Freycinet National Park, and the famous Wineglass Bay. Secluded beach escapes can be hard to come by, but not at Tiliqua Sunrise, a private beach house on the Eyre Peninsula set on 500 acres of absolute isolation. Less than 100 metres from the water’s edge, Tiliqua Sunrise is a stone house that’s self-sufficient and eco-friendly. All the water used on the property is collected rainwater, and the electricity is powered by a solar grid and battery banks. With your conscience clear, the only thing left is to enjoy the beautiful (and private) Western Australian beach, board on the unvegetated sand dunes that surround the house, or fish for salmon, flathead or whiting straight off the beach. 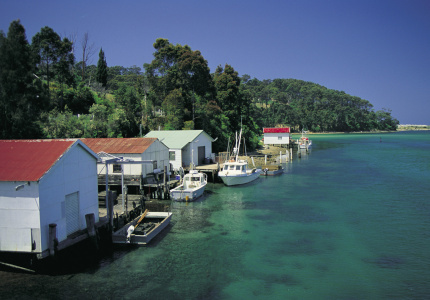 Wilderness Island is peak seclusion: this island getaway houses just four lodges on the 1.6-kilometre-long island, situated in Exmouth Gulf. For fishing and marine wildlife enthusiasts, as well as lovers of eco-focused seclusion, the island has beaches, mangroves and an abundance of wildlife-rich waters to explore. The cabins are simple – except for the bathrooms, which are built right into the limestone cliff face (for the views, of course). Isolated from TV, internet and phones, the small cabin camp is designed for personal interaction and natural experiences. While on Wilderness Island, you can fish, watch for birds, explore the mangroves in a kayak or head out to the coral reefs. At night, with the sky untouched by light pollution, be one of few people to catch a sky full of the Southern Hemisphere’s brightest stars. 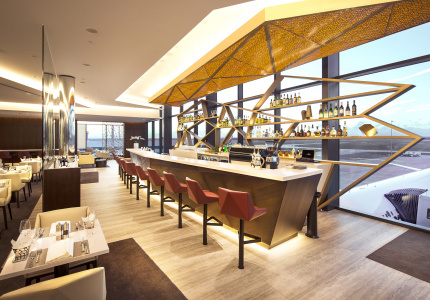 In partnership with Broadsheet, St Huberts The Stag is proud to present The World’s Most Elusive Wine Bar – a destination like no other. This article is produced by Broadsheet in partnership with St Huberts The Stag. in partnership with St Huberts The Stag. Learn more about partner content on Broadsheet.